Couture Bridal Photography is the most preferred Wedding Photography Studio in Deerfield Beach Florida. Couture Bridal Photography is the most recommended Wedding Photography studio of Bellissima Brides at the Cove Shopping Center, Most preferred at Embassy Suites Deerfield Beach, Double Tree Deerfield Beach, Royal Fiesta and Deer Creek Country club for our high end fine art documentary Wedding Photography. Couture Bridal Photography offers the most artistic engagement photography that is part of every Wedding Photography packages. Couture Bridal Photography is also the most famous international award winning Wedding Photography studio located in Deerfield Beach adjacent to the Deer Creek Country club. Couture Bridal Photography offers a unique and most distinctive Wedding Photography experience for Deerfield Beach Brides getting married in Deerfield Beach, Florida or locations throughout the United States and Caribbean on Destination Wedding assignments. Brides throughout South Florida seeking Wedding Photographers in the Deerfield Beach Florida area or northern Broward County prefer the Professional photographers at Couture Bridal Photography for the Engagement, Wedding and portrait Photography offered in and around Deerfield Beach Florida's many locations, Beach front and venues when looking for a top rated affordable Wedding Photographer. 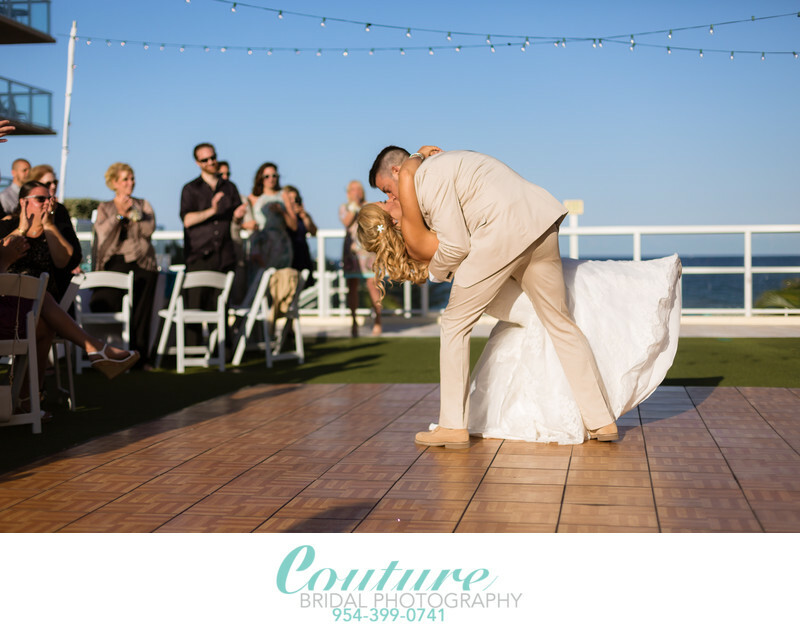 call Couture Bridal Photography for a free Professional Wedding Photography consultation and quote and choose us to capture your day with the most artistic heirloom wedding photography in Deerfield Beach, Florida and Cove Shopping Center. Location: 1200 N Ocean Blvd, Pompano Beach, FL 33062. Keywords: bride and groom (198), first dance (42), Marriott Pompano Beach Resort (15), reception (3), wedding (36). 1/8000; f/2.0; ISO 50; 50.0 mm.